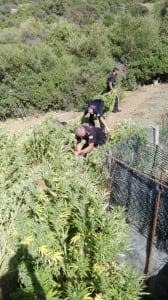 A MARIJUANA plantation has been discovered in Casares. 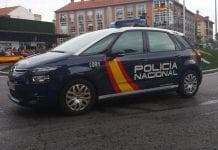 Police and the Guardia, unearthed the 1,500 strong crop on Las Ollas road, yesterday. The farm also had high-quality drug paraphernalia, including a laboratory and bags for sale. Police have detained three people and several vehicles. 1500 mature plants wouldn’t take much “discovering”. It would be smelled from a mile away. Down the entire western coast of America there are now many similar grow-ops as this one was. The only difference is that the state government has the production legalized, with people holding licenses and permits and paying taxes back into the economy. The cannabis is mainly used as medicine and for recreational use in some states, Oregon Just collected $25 million in 1 year of cannabis taxes, where as Colorado has just collected $76 million in 1 year of taxes. I wonder how long it will take before European countries jump on this bandwagon, as it is obviously a financially lucrative business. But alcohol and nicotine the real killers are left untouched because the legalized drug barons have the whore politicians in their pocket. Cant these individuals find some real criminals? they only need to look at lawyers, bankers, governments and themselves. Dear Authority: We all know who you are! Realise that their comes a tipping point. (I would not want to be at the mercy of the public once all hell breaks loose). – Stop harrassing people for money and “Do your job” or reap the consequences later down the line. No Laws when there are wars….